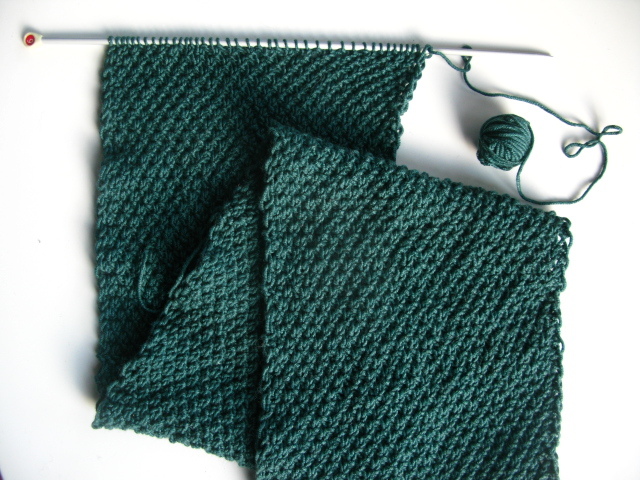 It’s all systems go round here now in terms of Christmas knitting! 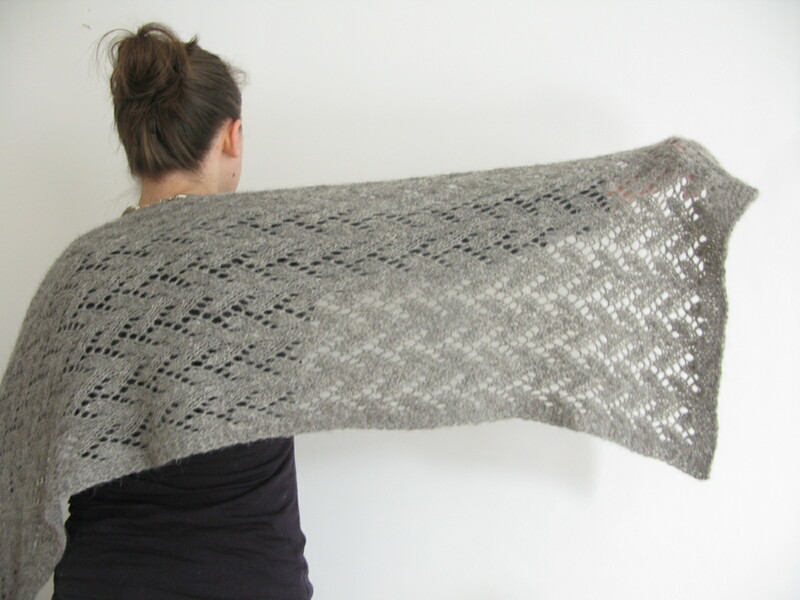 Have a list of 8 things I want to knit as gifts and have managed to finish one (yes one) so far. Oh well. 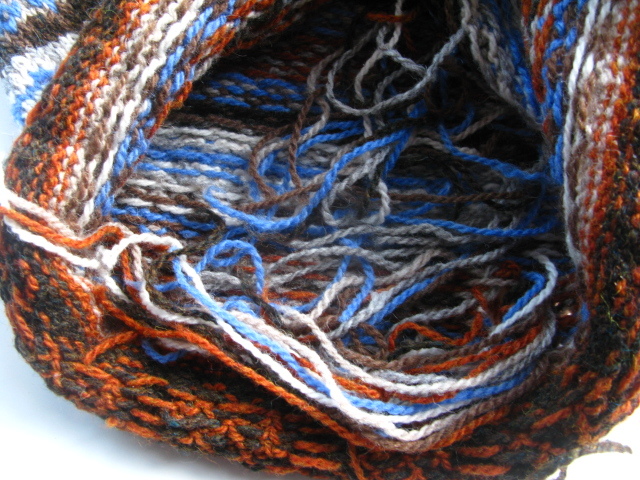 Edges are a bit scrappy because a lot of the knitting was done overnight on a bus to Alton Towers on a school trip! Going to crochet round it. Everything will be fine. 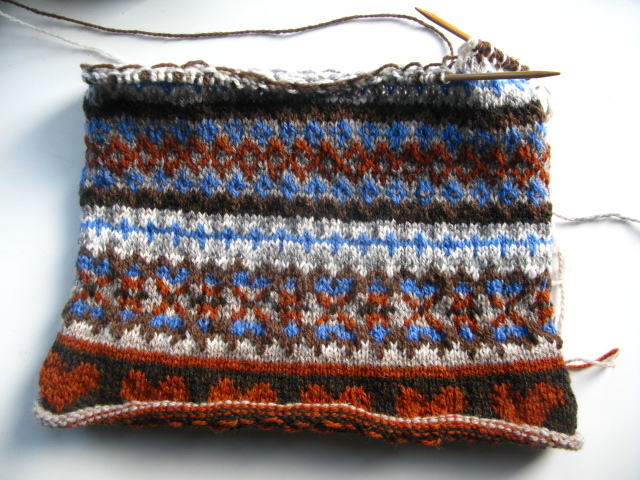 Not much else to show in terms of gift knitting, but I do have a couple of pictures from my latest obsession: Fair Isle knitting. Here’s a cushion cover I started that is currently on hold. 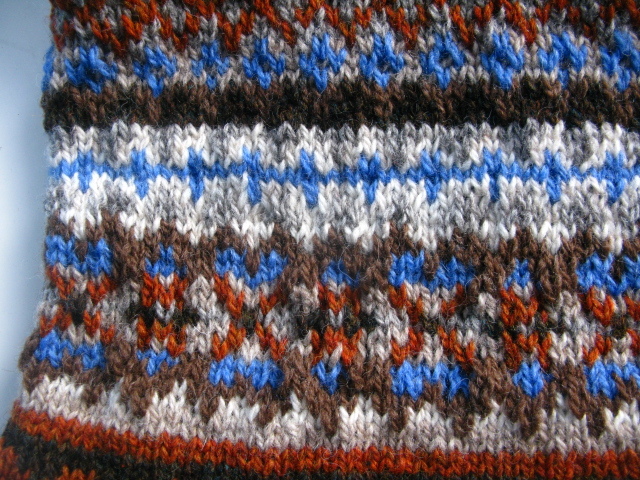 I’m knitting my mum a Fair Isle cowl though. More pictures of that to come soon! Only downside is the loose ends! Your lace wrap is really beautiful!